Today, we got the chance to ask the expert a few burning questions that surround the conference. Q: The expectations are really high for St. John’s this year. Just how special could this team be and why? A: St. John’s can absolutely be walking into The Garden on Championship Saturday for the BIG EAST Tournament and could be putting on their dancing shoes in March. Why? The Johnnies two elite weapons in Shamorie Ponds and Mustapha Heron and veterans who provide stability in Justin Simon and Marvin Clark. Now, it comes down to decision-making and rebounding. There is only one basketball. The Johnnies have to move it well and create unselfishness. LJ Figueroa could be such a hot addition after what he’s done this preseason. Q: Seton Hall was ranked 8th in the Big East in the coaches poll. Should they be that low, and could they surprise us? A: When you lose a senior class as good as Seton Hall’s was, expectations obviously could take a dip. But 8th? The Pirates have one of the top scorers in Myles Powell, a legit post weapon in Taurean Thompson and several intriguing complementary pieces. The question is point guard. Sacred Heart transfer Quincy McKnight isn’t a natural one and Anthony Nelson is just a freshman. But, Kevin Willard has found solutions before and I see no different this year. The Hall will exceed expectations. Q: Which freshman newcomer in the Big East do you have your eye on specifically? A: David Duke and A.J. Reeves. I will be glued to how Providence’s backcourt does. Ed Cooley has raved to me about them for over a year. Think about Bryce Cotton, Kris Dunn and Kyron Cartwright. Duke is next in line, and will be as good if not better down the road. I am buying stock. Q: Which team could pose the biggest threat to Villanova? Will the Wildcats take a step back? A: I think that Providence poses the biggest threat. Defensively, you just know they’re going to make you work for everything you get. On the offensive end, I see options for Ed Cooley. Alpha Diallo’s evolution on the perimeter is key but I like the backcourt options and I see sophomore Nate Watson taking off this year. Friars look poised as ever to go to a sixth consecutive NCAA Tournament. Q: What can we expect from new head coach Travis Steele at Xavier? A: You can expect physicality from Travis Steele. He often utters in practice that the Musketeers will be the best defensive team in the BIG EAST this year. You can expect Naji Marshall to take off in his sophomore season. Musketeers have some question marks but they have a dark horse feel in the league this year. 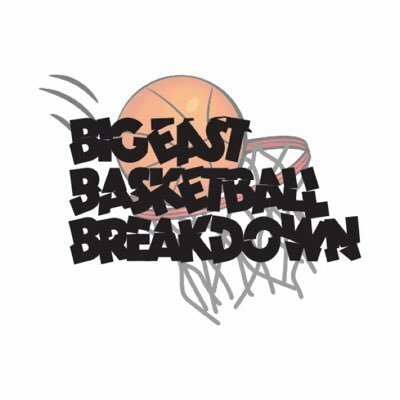 Q: Besides Shamorie Ponds, who can be a potential pick for Big East Player of the Year? A: Butler’s Kamar Baldwin. He is a complete, two-way point guard who deserves more credit. Watch out for him this year. Q: And finally, how would you describe the feeling once you found out you’d be moving to Fox Sports 1? A: I am overjoyed and humbled to be doing men’s basketball for FOX Sports this year. It is incredibly exciting to cover this conference on TV. I grew up watching it and now to get a couple of games this year, it’s amazing to start out with for a company I love. It is beyond humbling to work alongside people like Sarah Kustok and Tarik Turner, who I admire so much. It is a dream come true and I am so excited to navigate the journey ahead. Thanks to family and friends, who have helped and supported me since my high school days at Saint Ignatius in Cleveland and then at Seton Hall University.